Big changes came to the league in 1999, two years after its foundation. The WPL had run into severe money issues due to traveling expenses. They also weren't drawing the kind of crowds they had hoped. The league decided that if it was going to continue on, it would have to find two locations in which it could base itself and then grow from there. To no one's surprise, Plant City was the first. The league was already based out of there and they now owned the former Cincinnati Reds Spring Training stadium. The question was, where would they base the other teams. Most of the other ballclubs had either moved to, or were already playing in excellent quality ballparks. Still, there wasn't the kind of fan base to keep them there. These were still ballparks that were home to other sports... shared facilities. 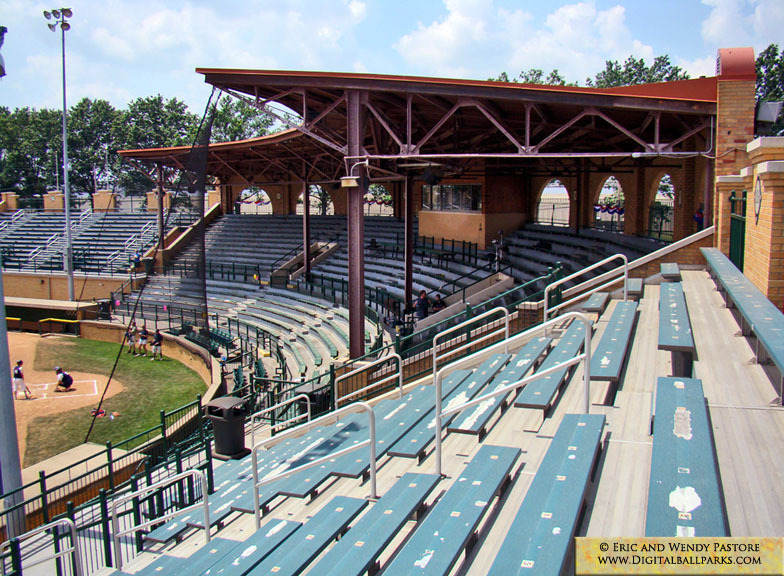 The new WPSL wanted another ballpark to call all their own, just like Plant City. Surprisingly in the end, none of the 4 other WPL stadiums wound up being the final choice. Instead, they went north and found the perfect little ballpark that seemed to be sitting and waiting for them to come all along. That ballpark was a beautiful vintage and somewhat forgotten facility located in Akron Ohio. Though it was 75 years old... a little elbow grease and paint would be able to turn this well aged ballpark into a softball paradise.